Usage of traditional business phones is declining. 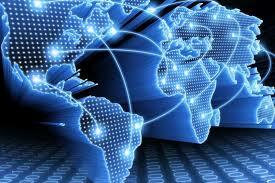 Instead, businesses are opting for VoIP (Voice over Internet Protocol) phone systems. There are a number of reasons for this, chief among them being VoIP’s lower upfront cost and better feature set. Here’s a brief overview of the history of VoIP along with some predictions as to where it may go in the future. VoIP as an idea dates all the way back to 1973, but the first real internet-based phone system wasn’t developed until 1995 when Vocaltec released their Internet Phone software. This software translated analog voice into digital packets that could be sent over the internet. Being the first internet-based phone solution, Vocaltec’s software left a lot to be desired. Call quality was extremely poor and you could only make calls to other businesses with the Vocaltec software and hardware installed. Still, we wouldn’t be where we are today without someone taking that crucial first step into new terrain. One of the advantages of VoIP over traditional landline phone systems is that it’s easy to implement and roll out new features. The number of features you can find on even modestly priced VoIP business phones is impressive. Some of these features are more useful than others and VoIP providers are iterating on a few of the features that their customers value the most. Mobility – Pretty much everyone has a mobile phone these days, so features that emphasize mobility are very important. Businesses who switch to VoIP often cite being able to easily forward calls to their mobile phones as the No. 1 reason for switching. Cloud Integration – Most businesses these days utilize some form of cloud technology. Having their phones seamlessly integrated with their cloud services is something that customers desire and VoIP providers will focus on refining this integration in the future. Security – Security has always been a concern with VoIP and it always will be. In the future, VoIP providers will continue to develop new encryption technology to keep their customer’s private information safe from ever more sophisticated hacking schemes. Other businesses are making the switch to VoIP. Has your business? Digital Agent offers a number of affordable VoIP solutions with cutting-edge feature sets. Contact us today to get ahead and see how you could benefit from VoIP technology.